January | 2014 | Dorked Out! 3. Rapunzel. I don’t really know why, but I think its because she’s a little ditzy and I find it really random that her hair glows when she sings… I also have a friend (Who is Russian Orthodox, so she doesn’t cut her hair) who reminds me of Rapunzel. 2. Jiminy cricket is kind of the Hermes, (in my opinion). Hermes is also my favorite Greek God. Something about Jiminy just makes me like him, okay? 1. Aladdin, A Disney Princess movie where the main character isn’t actually a Disney Princess… In fact I don’t know if its Disney Princess movie at all! For some reason I just really like Aladdin. Maybe its that his life seems exciting, or that he has a genie…. Or something along those lines. 3. Arrow, a TV show based on the Green Arrow comics. One of the only hero’s DC I like. A modern day Robin Hood, vigilante Olver Queen comes from one of the wealthiest families. He is lost an island and then comes back as some kind of crime fighting hero. Arrow also introduces other characters from the DC universe (Some really big names, but I won’t spoil it). Its full of mystery and drama as you watch his life back home, and the flashbacks he has while on the island. 2. Tosh.0… Okay half of the people who I know, probably think this show is of Satan… but I think its hilarious. I have this belief that you should be allowed to laugh at whatever… Laughter is the best medicine. At times I squirm and wish I didn’t see what I just saw, but I laugh at most everything on this show. Offensive is a polite way of describing this show. Sure there’s times when you shouldn’t make a joke, but often the funniest people are those who take sensitive matters of THEIR life and turn it into a joke. To me thats perfect and makes things seem lighter. 1. Key and Peele, two hosts doing stand up and sketch comedy. It mostly makes fun of all the stereotypes on all the different races and kind of makes fun of white people the most if you look at it a certain way (in the sense of white people are racist aspect). This show has cause me to laugh harder and longer more than any other show…. Its mildly inappropriate, but I don’t know that I would consider it too offensive; well at least not compared to other comedians I have seen. Like movies there’s a ton of bands that I like. They also vary from time to time depending on my mood and what not. 3. P!nk, she’s not always in my top three, but lately I’ve been liking her. She’s one of the few mainstream female singers I actually like. Her raspy low (but still feminine) voice is pleasant and you can hear the passion in it as well. Not only is there emotion in her voice, but her lyrics are often deep… Maybe not all of them but “Just Give me a Reason” was Killer. 2. Switchfoot!!! okay normally they are FIRST on my list but lately there’s another band that I have just been liking to listen to more. Switchfoot has some of the most poetic lyrics I have heard. Their latest album is going back to their roots of kind of a melodic pop feel as opposed to their alternative rock. I can’t complain about it, but I do tend to like the more alt-rock feel. Sometimes its upbeat and happy, or sorrowful, or even loud… They have a song for pretty much all moods. 1. Awolnation, an electronic alternative band. Typically their pretty upbeat songs, but often slightly depressing. But still very inspirational. I feel that their songs have a lot more meaning than a lot of other songs too. Lately I have been listening to them quite a bit. They also seem to travel to Portland often, which is GREAT for me because, well, you know I actually live in Portland. 3. 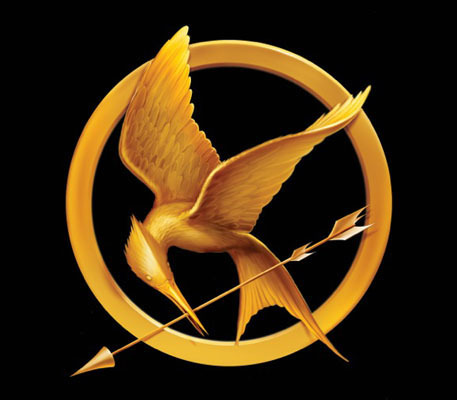 Oh Suzanne Collins, why’d you have to bring in the Hunger Games trilogy. Causing our emotions to run wild, and also causing some youth to want to be more active in politics. This book was a book where I literally threw it across the room a few times (this book being the last one). It leaves you depressed and slightly sad that its over after you are done reading it. But also relieved it’s over in the since you know, no one really wants a government having that much control. Okay so I have a crap ton of movies I really like… So I think before I list my top 3, I will just list a lot of my other favorites. Amazing Spider Man, X-Men Origins, Iron Man, RED, Art of Getting By, COG, Les Miserables, Ice Age, Lord of the Rings, and Frozen…. Now for my top 3. 3. Perks of Being a Wall, why? Well I guess I just really enjoyed the story line. Something about it is mildly relatable to most people, I guess. Wallflower, kind of meaning someone who’s quiet, or in the film someone who notices things. But not just that, I feel there is confusion and rebellion… And just trying to fit in. There’s a lot more to it though. If you haven’t seen it, you’ll just have to see it for yourself. 1. The Great Gatsby was surprisingly one of the better movies I have seen. Way too much symbolism (which I love) and great values. If you ever felt like the victim of being judged or gossip or anything like that it is perfect. I don’t want to go on too much about it since it is a relatively new movie and I don’t really want to spoil it… But it is AMAZING! 3. Sims 3 (PC) would take third place…. My favorites often vary on things but yeah, I guess Sims 3 would be my 3rd favorite as of now. Who doesn’t want to build the perfect life? Make an attractive Sim and marry them and have an attractive family. Not only that but they throw in silly things to make it a bit more entertaining. Sims games are typically the only games where I actually get expansion packs…. unless it came with the game. So yeah Sims 3 would have to take third place. 2. Pokemon! Gotta catch them all, yo! Okay, if you even know me slightly, you should know I LOVE Pokemon. It’s my childhood. I find it pretty creative and just fun. You catch Pokemon, train them, figure out strategies… Its my type of game… Plus you can easily set it down without worry of losing, meaning you don’t really need to time things ever or have any special hand coordination… PERFECT! Before Emerald Version (GBA) was my favorite, but now I have to say X and Y (3DS) beat it. I am excited for the next version, which I am assuming will be Z. 1. Fire Emblem is my favorite for sure…. Like Pokemon you don’t really need much coordination, however it is a game that requires a lot of strategy. If a character dies once, NOPE! You never see them again. So you have to be careful about characters and have to consider how things might effect the story line…. Which is another thing, the story line is AMAZING. Each one of them has great story lines and also great artwork. There’s a lot more to it, and some people will probably not like it much or even find it quite hard if they don’t have great strategy techniques. 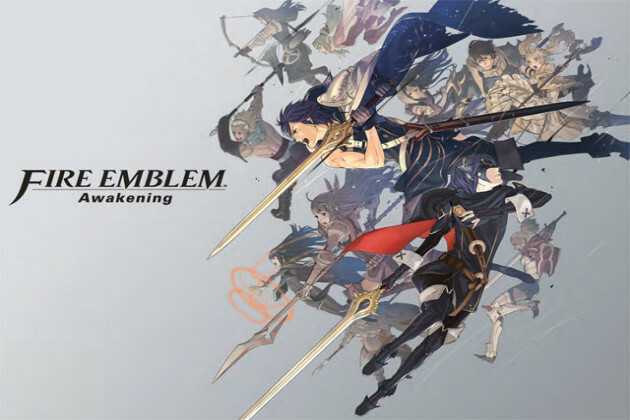 So far my favorite one in the series is the newest one, Awakening (3DS, just because of the game play… I think if I had to chose for story line it would go to Radiant Dawn (Wii). In the end, I recommend Fire Emblem to anyone out there. I think its easy enough for people who don’t play games much because its not one that requires coordination. Just be sure to read the tutorials and tips effectively or you might miss important details.